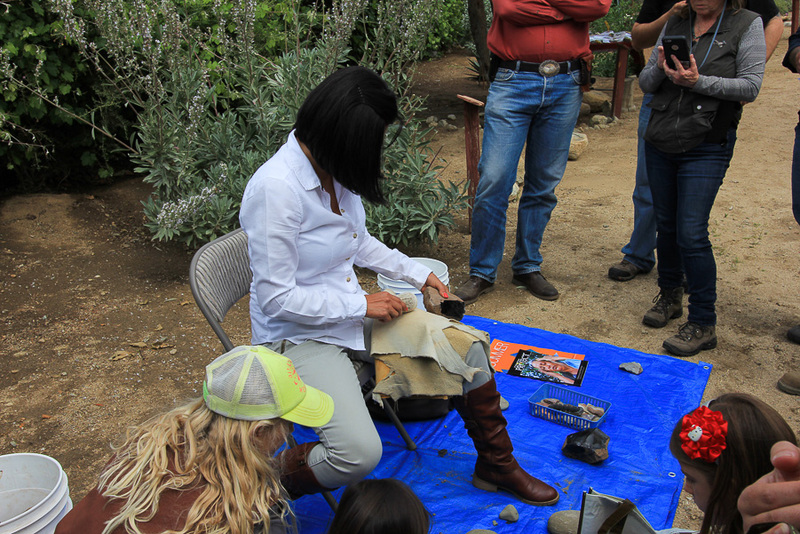 April 9, 2016 - We had visited the Malki Museum in Banning last year so we were excited to receive an invitation to their annual agave harvest and roast. 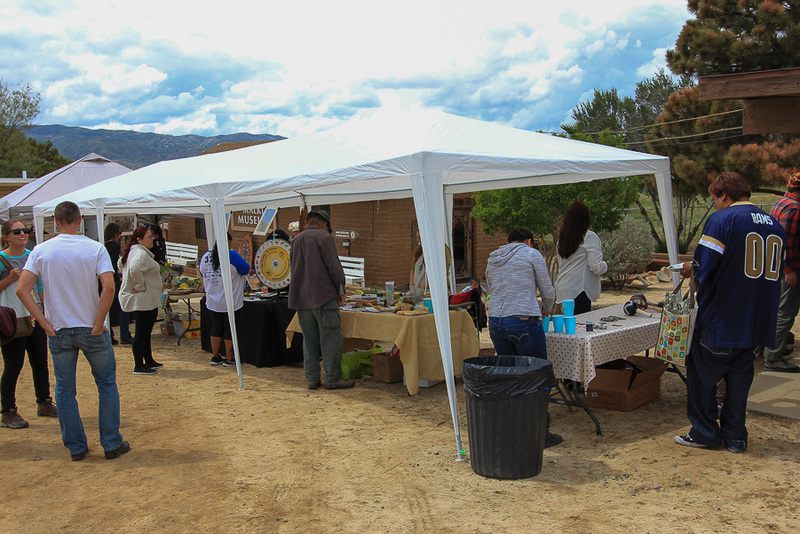 The museum is located on the reservation of the Morongo Band of Mission Indians. 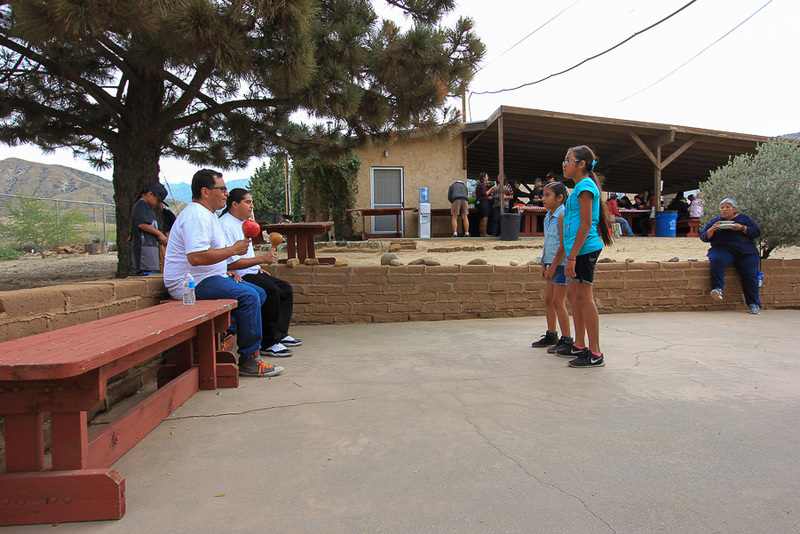 The Morongo Band of Mission Indians is a federally recognized tribe and its main tribal groups are Cahuilla and Serrano. 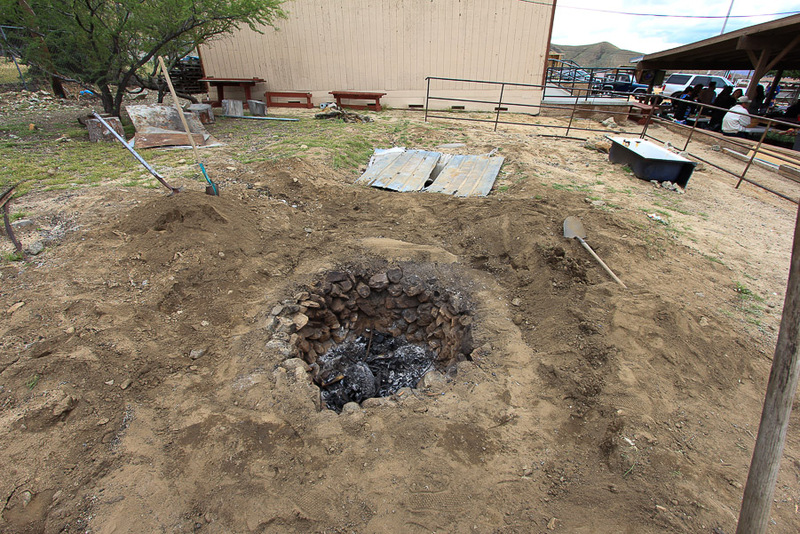 Tribal members also include Cupeño, Luiseño, and Chemehuevi Indians. The reservation is 35,000 acres in size and it was established by President Ulysses S. Grant in 1876. 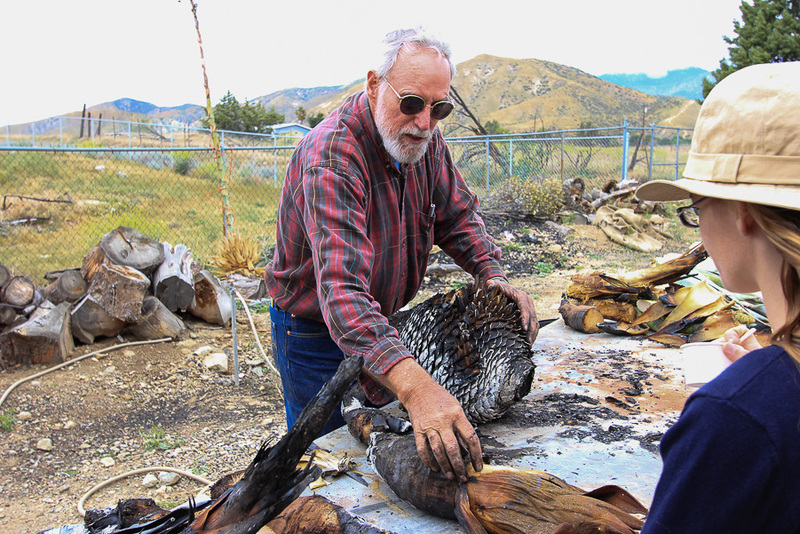 The agave was a staple food item of the Cahuilla and other Southern California Native American tribes. The harvesting was done last weekend and we attended the tasting held today. Several activities were going on before the lunch was served at noon. 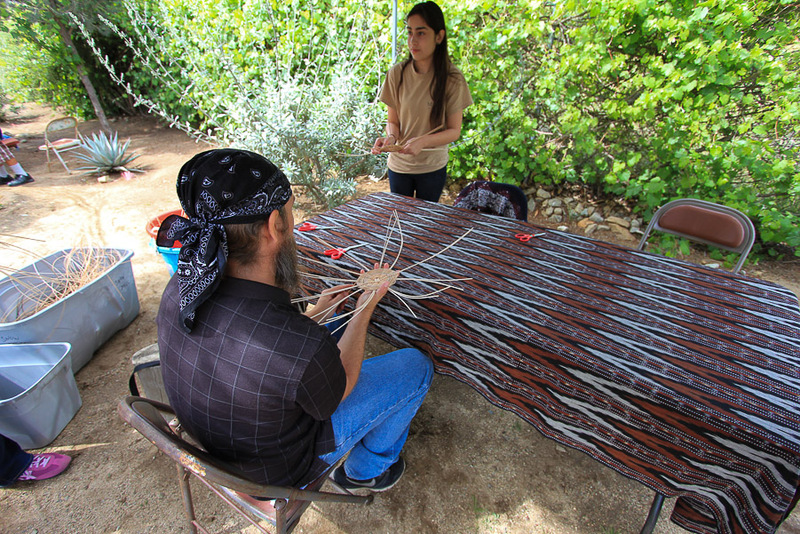 Alexiss Pena was demonstrating the art of creating baskets using round reeds, which were soaked in the bins to the left to increase their pliability. 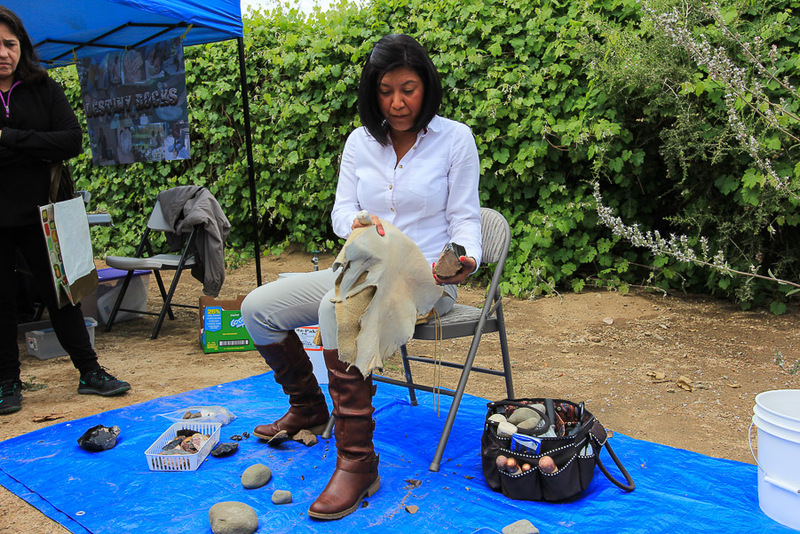 This is Destiny Colocho demonstrating the art of "flint knapping." She was extremely talented in using a smoothed moose antler to separate layers of flint for use as arrowheads, hatchet blades and other cutting utensils. 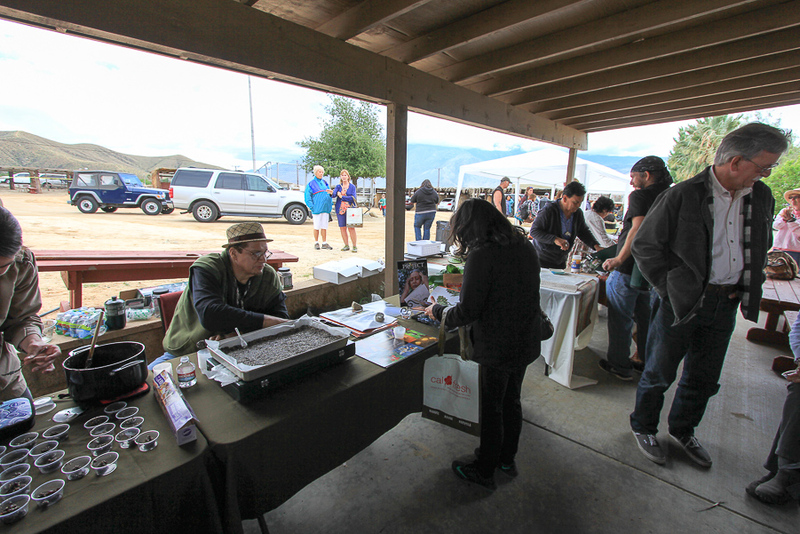 The event was well attended by about 75-100 people, seen here checking out the vendors. 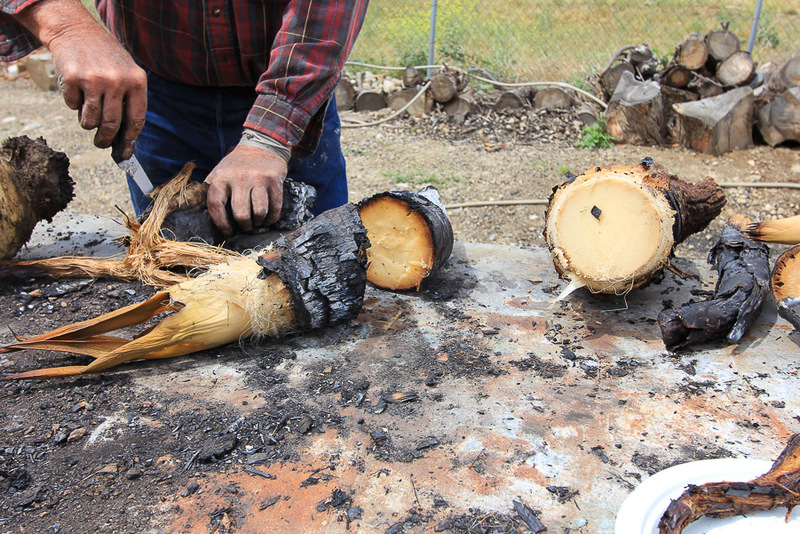 The hearts of the agave plant are roasted in a deep pit for 40 hours to tenderize them. 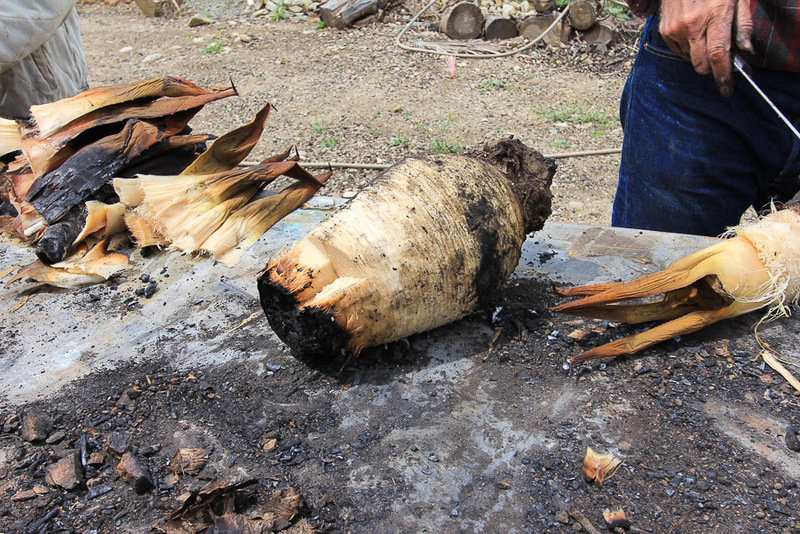 Once done the fire-blackened hearts are cleaned, leaving a moist and tender core, much like a trimmed pineapple, although tasting different. 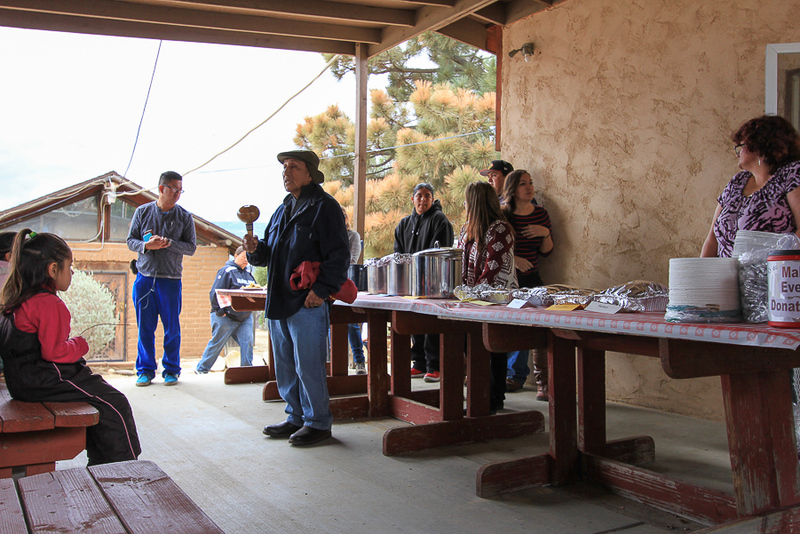 Before our meal was served, one of the tribe's elders gave his blessing for the food and the event itself. 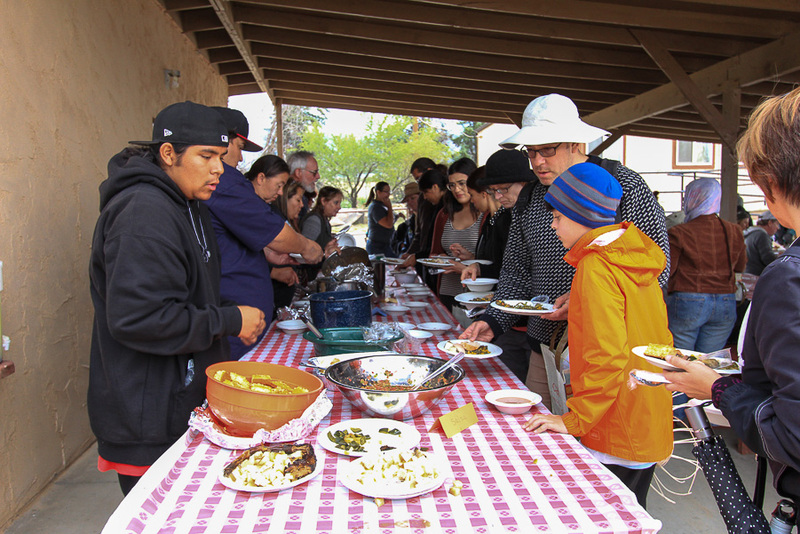 There were many different native foods offered including roasted agave, buffalo stew, pine nut soup, mesquite tortillas, yucca petal salad, corn bread with chia seeds, and a variety of beans and squash. 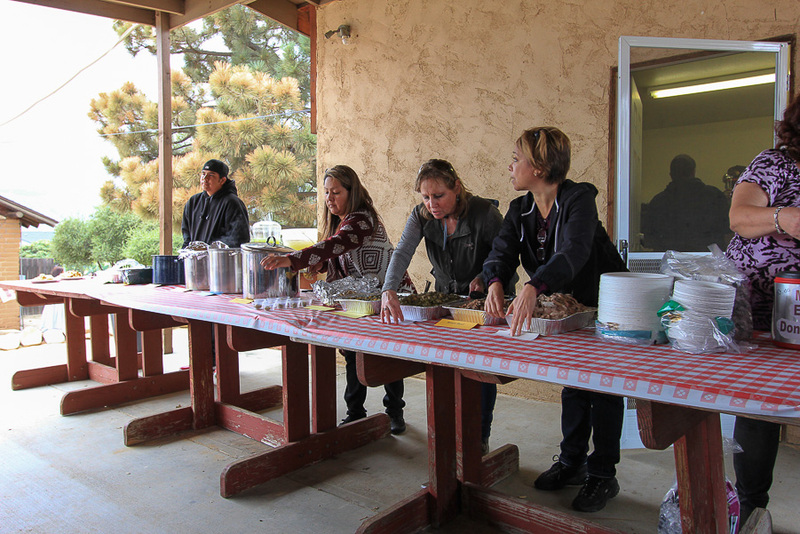 Both before and during the meal the crowd was entertained with "birdsongs" sung by some of the tribal members. Birdsongs are social songs that recite the history of their people and their migration across the land in ancient times. 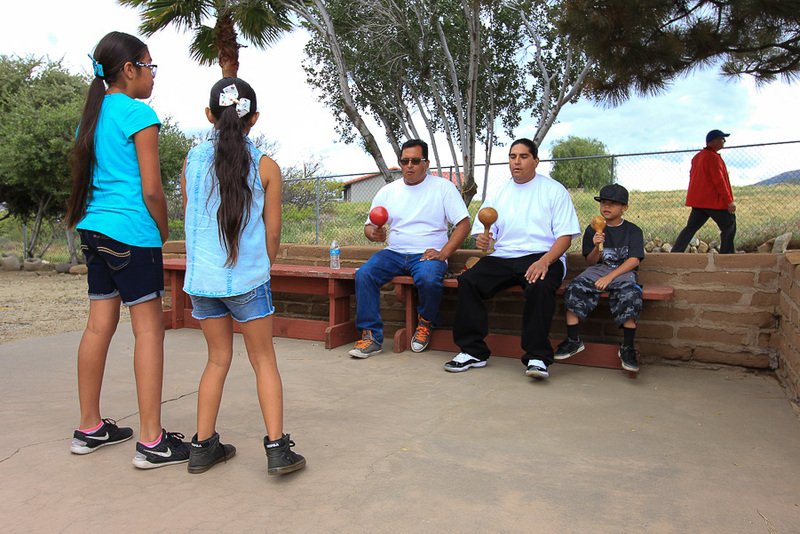 The songs are passed down from one generation to the next and are accompanied by gourd rattles. It was quite an experience to see it firsthand. As we expected, the Southern California Native Foods are different tasting than what we're used to. However, while some foods are probably an acquired taste, there were many that were instantly satisfying. My favorite was the roasted agave, which was sweet and had its own unique flavor. Judy loved the mesquite tortillas with a prickly pear cactus jam. The salsa they served was simply fabulous! 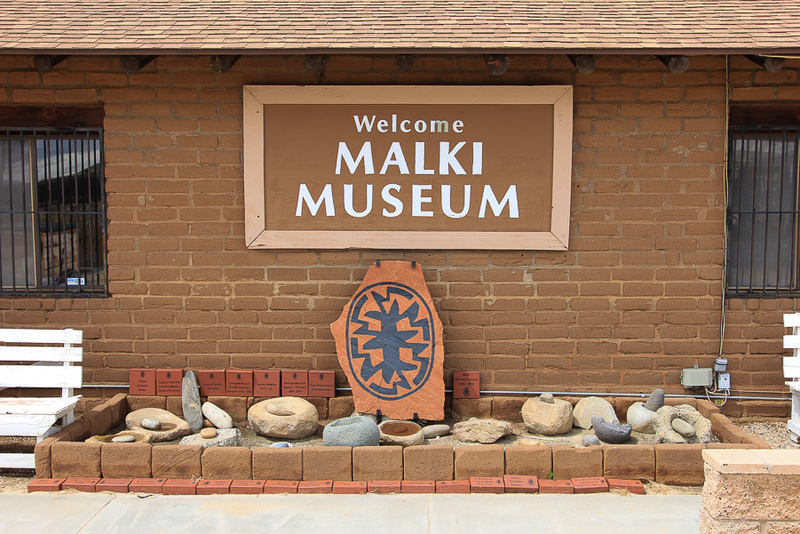 We also learned that a documentary movie about the founding of the Malki Museum is currently under production. You can view the trailer on YouTube by clicking here.